One of the world's most unusual hotel experiences is to be able to bunk down on a bed of ice and be completely comfortable, yet this is what staying in an Ice Hotel allows you to experience. 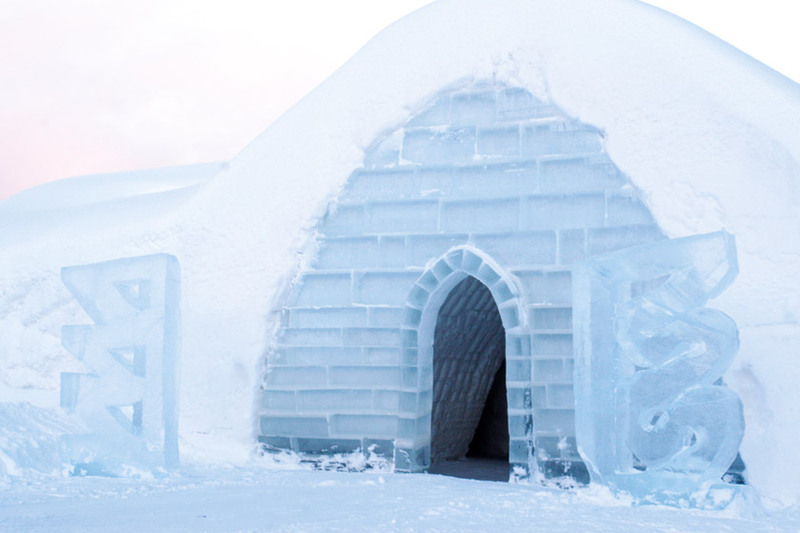 We round up the top five ice hotels in Scandinavia and Canada. The best? Maybe. The original? Certainly. Sweden’s ICEHOTEL, which is pieced together jigsaw style from huge ice blocks sourced from the frozen River Torne near the village of Jukkasjarvi in Swedish Lapland, a cool 125 miles north of the Arctic Circle, offers guests the chance to stay in a room carved entirely from ice, from the walls to the chandeliers, furniture, intricate sculptures and even the beds. 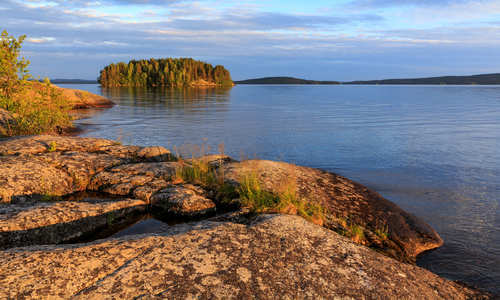 A three-night stay includes one night in an ice room, two further nights in warm accommodation, and the chance to indulge in all manner of winter activities, including snowmobiling, reindeer safaris, ice driving, Northern Lights hunts, husky tours and wilderness dinners. End each day with a drink in the 45-foot ICEBAR, where the drinks are served in glasses made from, you guessed it, ice. Where Sweden’s ICEHOTEL prides itself on being the first and largest snow hotel, Norway’s Sorrisniva Igloo Hotel has a more intimate feel. Each year, this designer igloo is built from scratch out of ice and snow and decorated with wonderfully ornate ice sculptures. 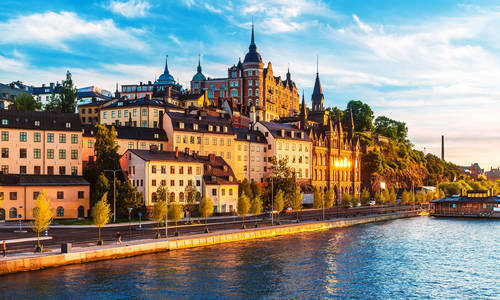 The hotel features a superb restaurant and two outdoor heated whirlpools, where you can sit and soak beneath the Northern Lights. 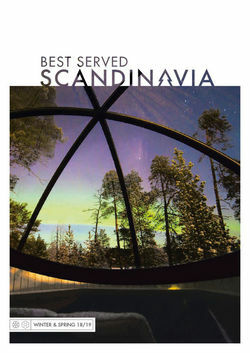 Inside, temperatures range between -4 and -7 degrees and guests sleep on reindeer mattresses inside toasty sleeping bags. Days in Sorrisniva are spent dog sledding and snowmobiling through the surrounding winter landscape. 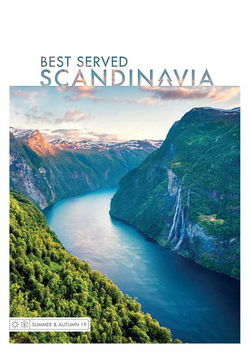 Despite being in only its ninth year, the wonderful Kirkenes Snowhotel has already made it into the top 25 of National Geographic Adventure’s ‘World’s Best New Adventure Travel Trips’. Located close to the Finnish and Russian borders, on the frozen shores of the Barents Sea, Kirkenes is the most northerly snow hotel of them all, and features an Ice Bar, beautifully sculpted ice beds, intricate pieces of snow and ice art and its very own resident reindeer. 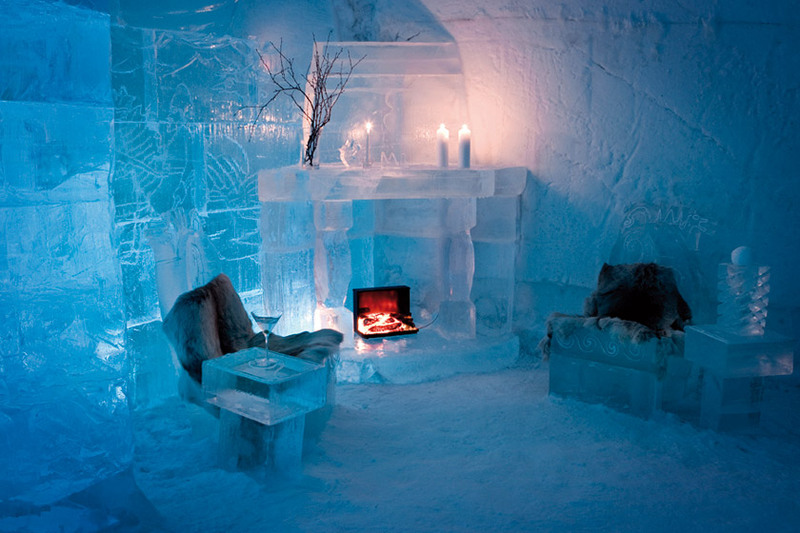 Finland’s premier ice hotel, the Lainio Snow Village is located in the heart of the beautiful Finnish fells. Built each year using 1,000 truckloads of snow and covering an area of 20,000 square metres, this vast complex consists of a restaurant, bar, lobby, hotel rooms and suites, along with a range of outdoor buildings with ornate walls, slides and sculptures. 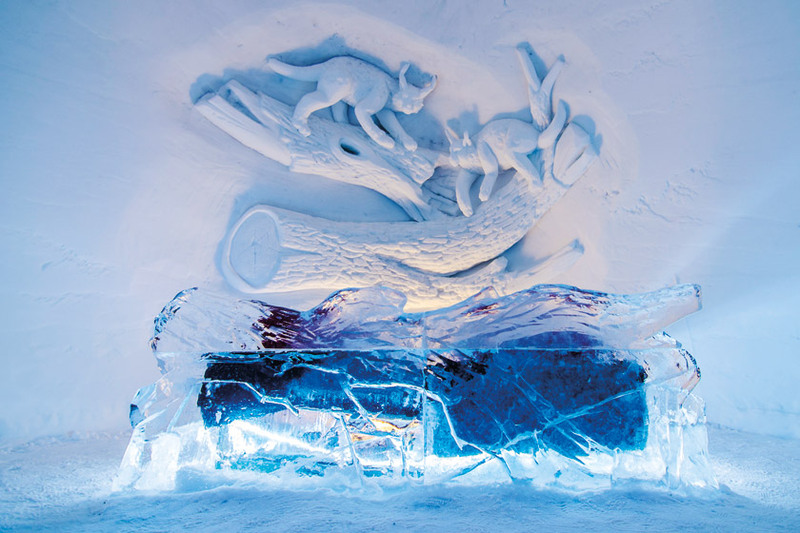 Located 200 kilometres above the Arctic Circle, Lainio Snow Village offers guests the chance to indulge in a range of exciting winter adventures, enjoy sumptuous local cuisine in the spectacular IceBar restaurant or even tie the knot in the hotel’s very own ice chapel. All stays at Lainio Snow Village include a guided tour of the site. 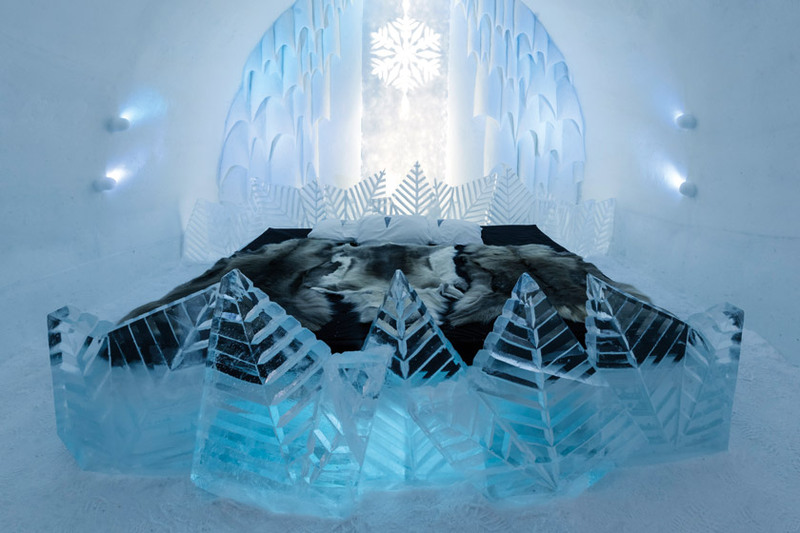 Celebrating its 15th anniversary in 2015, North America’s first ice hotel, Hotel de Glace, features 44 ice-sculpted rooms and themed suites and is located just ten minutes from the historic streets of downtown Québec. 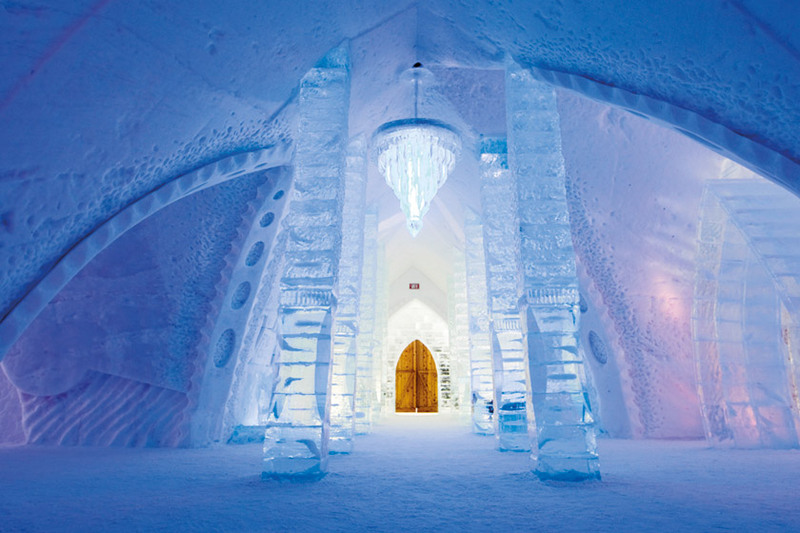 Colourful and dazzling in its intricacy, Hotel de Glace boasts huge snow vaults, impressive ice sculptures and furniture, a Nordic spa and sauna, snowshoe trails, dog sledding trips, tube sliding and more. A stay in a Premium Theme Suite, with its very own wood-burning stove, adds an extra touch of magic to the Hotel de Glace experience.